Nuns are fascinating. Through the years, so many movies and TV shows have drawn inspiration from their lives, from the sublime (The Nun's Story) to the ridiculous ("The Flying Nun"). Our selections fall widely along that spectrum but, all of them are recent, having been released in that last few years. 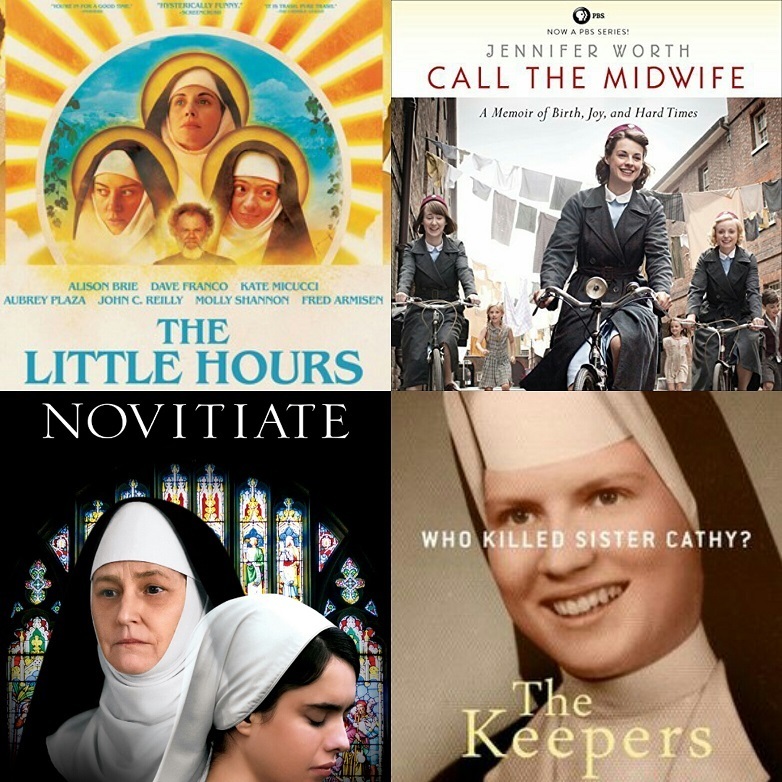 First up, is the comedy The Little Hours and the drama Novitiate. We follow those movies with the melodramatic BBC show "Call the Midwife" and the Netflix true-crime docu-series "The Keepers." We look at more recently released media next month, with the new Ethan Hawk effort First Reformed and the popular CBS series "God Friended Me"